TiltShift and TiltShift Lite are available exclusively on the Mac App Store, making sure you get the best installation and update experience on the Mac and let you use your existing Apple ID to buy TiltShift. 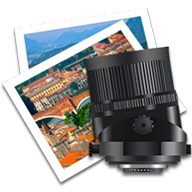 Try out TiltShift before buying the full version on the Mac App Store. The TiltShift Demo Version is a fully featured version of TiltShift that you can use as long as you want. The only limitation is a “Demo Version” text over all photos. Please note that this demo includes all features of TiltShift. TiltShift Lite will be more limited, see FAQ for exact differences..
Mac OS X Lion 10.7 or later, OS X Mavericks (10.9) strongly recommended. Future versions will likely require OS X Mavericks.